In ancient times, before epidemiology science, people believed the stars and “heavenly bodies” flowed into us and dictated our lives and health—influenza means “to influence” in Italian, and the word stems from the Latin for “flow in.” Sickness, like other unexplainable events, was attributed to the influence of the stars—and they gave the name influenza to one of the most common ailments, according to Isaac Asimov’s Words of Science. 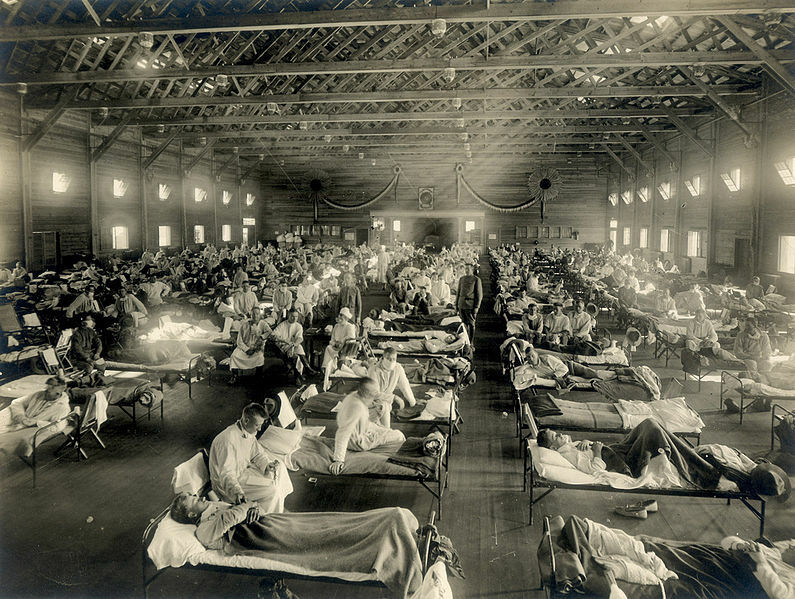 But the name for the infamous 1918 outbreak, the Spanish flu, is actually a misnomer. On May 22, 1918, Madrid’s ABC newspaper published news of the spread of a strange illness that had begun infecting the people of Spain. The virus was mild, but sudden. People collapsed in the street; a week later, even King Alfonso XIII grew sick. It’s tough to exaggerate the devastation of the 1918 influenza pandemic. An estimated one-third of the world’s population became infected over its course; at least 50 million people died. In some cases, there was simply no time to build enough coffins to house the dead, so people were buried directly in the ground, a process one survivor referred to as “plantings.” In one Pennsylvania town, the death rate was was so high that a high school functioned as a funeral home—bodies would be displayed in a window so loved ones could attend the viewings from the safety of the sidewalk. In a Times of London editorial that forecasted the impending end of the “mild” illness, the devastating outbreak was dubbed the “Spanish flu.” But that name was a misnomer that would endure for a century. One country that wasn’t involved in that worldwide exchange? Spain. 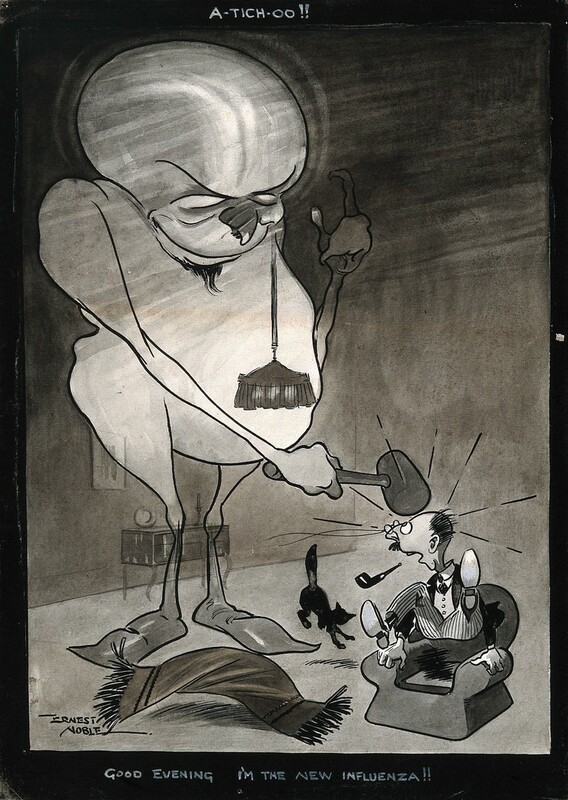 The American, French, and German press were most likely reluctant to let the cat out of the bag about the pandemic sweeping the country and causing their troops to drop like flies, according to an article from Clinical Infectious Diseases. In the United Kingdom, newspapers were forbidden from discussing the outbreak in detail under the Defence of the Realm Act of 1914. High-ranking British civil servant Sir Arthur Newsholme refused to take measures like instituting quarantine and shutting down public transport because he believed focusing on the war effort should claim top priority, says Arnold. Spain remained neutral in the war, and, as a result, wasn’t subject to wartime precautions and censorship rules. The Spaniards had no reason to keep mum, and ABC, one of the national Spanish newspapers, was one of the first, if not the first, to report on the illness snaking through the country. The pandemic didn’t originate in Spain—in fact, it wasn’t nearly as bad there as it was for other countries. Even today, experts aren’t certain where the outbreak originated. Some say China, some say the American Midwest, and others suggest France. But one thing’s for certain—it wasn’t Spain. 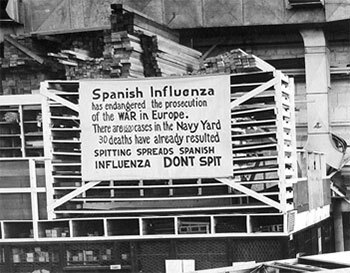 “Nobody calls it [the Spanish flu],” says Albert Bosch, president of the Spanish Society for Virology. “It just happened to be the place where it was reported, and that’s it.” Arnold says the Spaniards themselves had different names for the virus—sometimes “the French flu” for their historic rival, sometimes “Naples Soldier” after a popular musical—but it was the name in the Times that would stick. 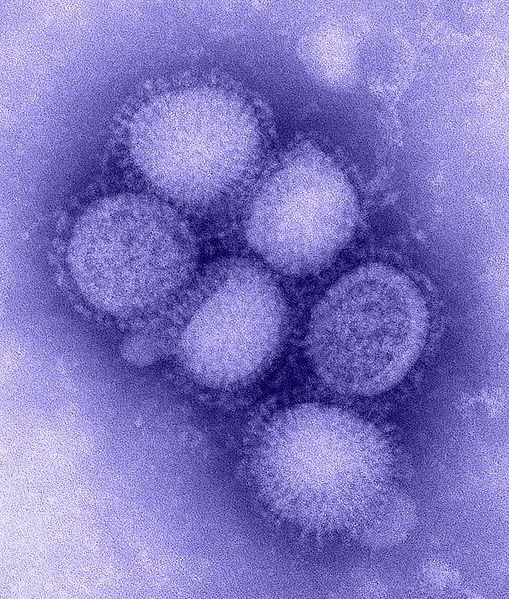 No flu season since has come close to the devastation of the 1918 pandemic, but for many flu season can be a stressful time of year. For someone like Matt Smith, who suffers from cystic fibrosis, even a minor bout of the flu can be a life-threatening illness. If the average person comes down with the virus, she may spend a few days at home feeling lousy on the couch; Smith could wind up in the hospital for weeks. “I’m constantly thinking about infection control,” Smith told Science Friday in November. “Anything that comes into the house, whether it’s packages or people, I spray it down with Lysol. When I go out in the public I wear a mask, and I’m always sort of vigilant for people who might be sniffling or coughing and do my best to run away from them as fast as I can if I hear that.” Out of caution, he skipped his 25th high school reunion. Every flu season is different. The virus is always changing; tiny alterations occur in its genes as the virus replicates. On top of these variables, researchers must prepare the vaccine about six months before the start of flu season, based on what they’ve seen circulating so far. “It’s a gamble,” says Bosch. “You have a lot of clues; it’s not a blind gamble. It’s based on science, what’s been in the past circulating everywhere, and what you expect could happen.” As of January 12th, the Centers for Disease Control estimate nearly 10 million people have flu-like symptoms. 'Trentino' just doesn't have the same ring to it.